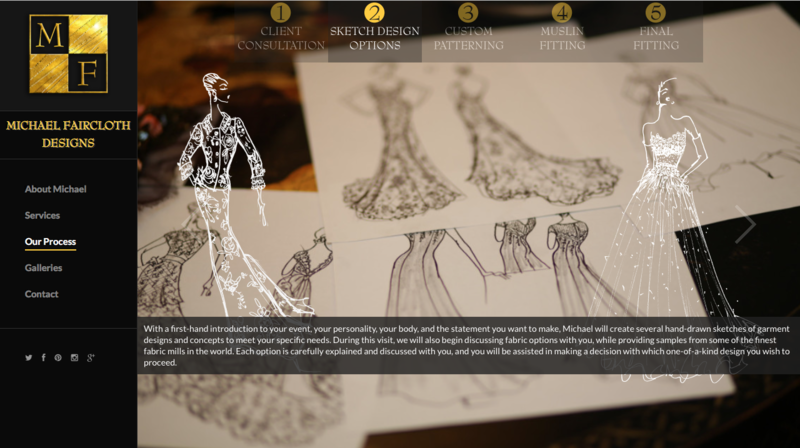 TikTalk was given the opportunity to work with Michael Faircloth, prestigious Dallas fashion designer, on creating a new website for his custom fashion design company, MW Faircloth Inc. He wanted a high-contrast design with a balance of modern and classic aesthetics. Michael Faircloth was very thrilled with the final product and the additional steps we took to include Google Analytics for ongoing monitoring and reporting. 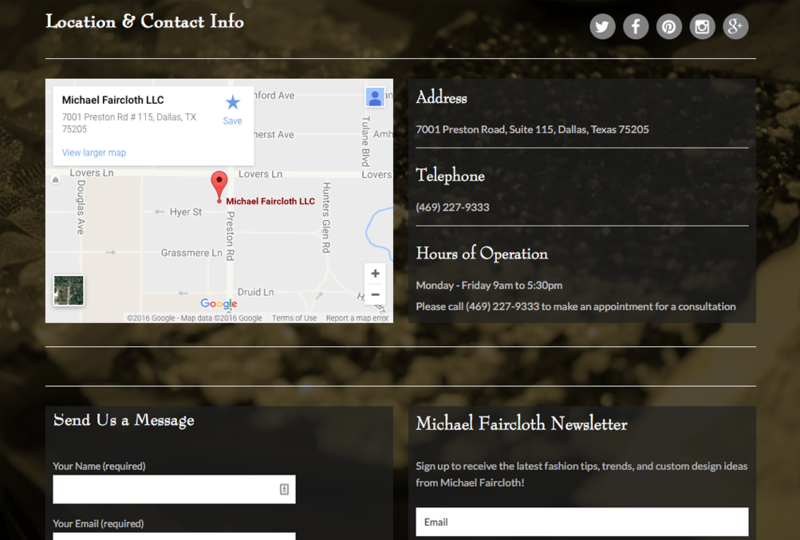 We have since taken over his Online Directory Management and continue to handle the print and online marketing needs of MW Faircloth Inc.